There's been radio silence on the blog for a bit, as I am still barricaded behind my stack of Cybils' nominees. 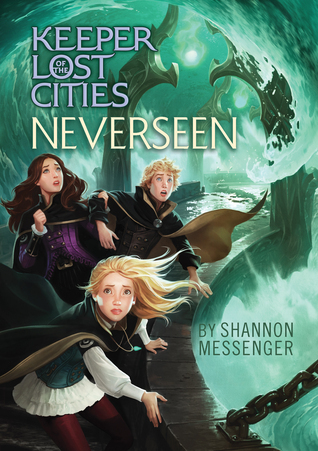 But the Don and I had to make an exception and come out of hibernation when we heard that Shannon Messenger was coming to town to celebrate the release of Book 4 in the Keeper of the Lost Cities series: NEVERSEEN. Shannon was going to be at the Beaverton outpost of Powell's Bookstore. We got there and found nearly every seat taken so, much to the Don's chagrin, we took up residence at the back. No matter--we still had a mafioso's eye view of Shannon at the podium. Boy, was she impressive! She was smart, funny, and completely available to her awesome fans. She didn't read portions of her book, she just took question after question (and there were a ton of questions!) Her fans LOVE, LOVE, LOVE the Keeper series. You can tell by the way they are so completely wrapped up in the characters--Shannon several times had to remind them and herself what her mother tells her: "Remember, these guys aren't real people." But maybe Mom is wrong--because to the young people in the audience, Sophie, Finn, Keefe, Dex, and Biana are very, very real. The event started at 7. A Powell's employee gently cut off the questions at 8. By 9, there was still a line waiting for Shannon to sign, because Shannon gave every single one of us plenty of her time. She signed copies of the new book, as well as the earlier ones--and trust me, people came with piles of books. She chatted, and smiled, and posed for photographs, and made sure that people got the insides of the books stamped. She gave out swag, and smiled again, and thanked everyone for coming. She is one class act. You can bet that every single one of those young fans went to bed happy that night. 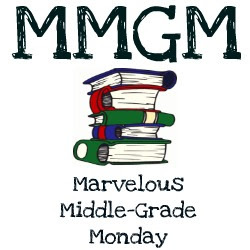 And, the next morning at school, I bet they told all their friends about the great author whose books they love, and who was soooo great! The Don says he wants to be Shannon Messenger when he grows up. So do I!